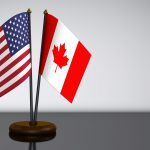 Can A law Firm Handle Cases on Both Sides of the Border? As lawyers in both British Columbia and Washington State, we understand the nuances of laws in multiple jurisdictions and the interplay of insurance coverage. Cross Border Law will take a thoughtful approach to resolving your case. Whether we can reach a settlement with the insurers or the matter must be resolved through arbitration or in the courtroom, either in the U.S. or Canada, we are confident in our ability to represent our clients through all stages of litigation. Sure, this is our business, but we’re not just in it for the money. We enable our clients to seek affordable care and assistance to help heal injuries and repair losses. Having helped hundreds, if not thousands, of injured individuals over the years, we know what people need to put their lives back together, and we do whatever we can to assist in that process. We look forward to welcoming you as our client.